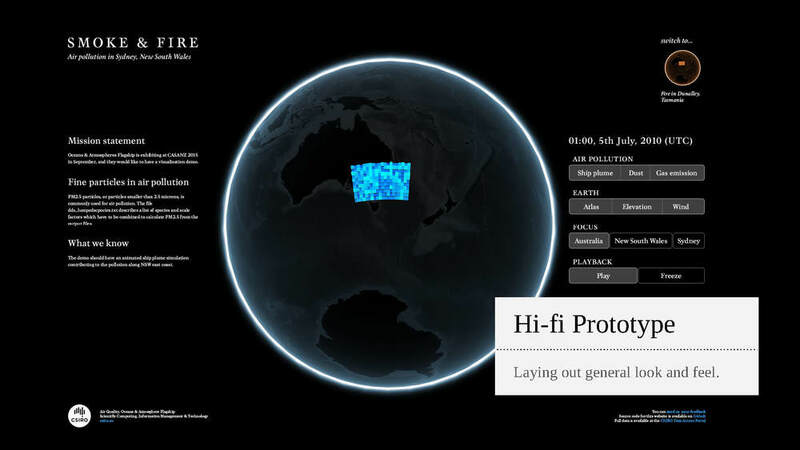 Smoke and Fire (live website) is an interactive visualisation of air pollution in Australia, particularly shipping plume along the east coast of New South Wales. 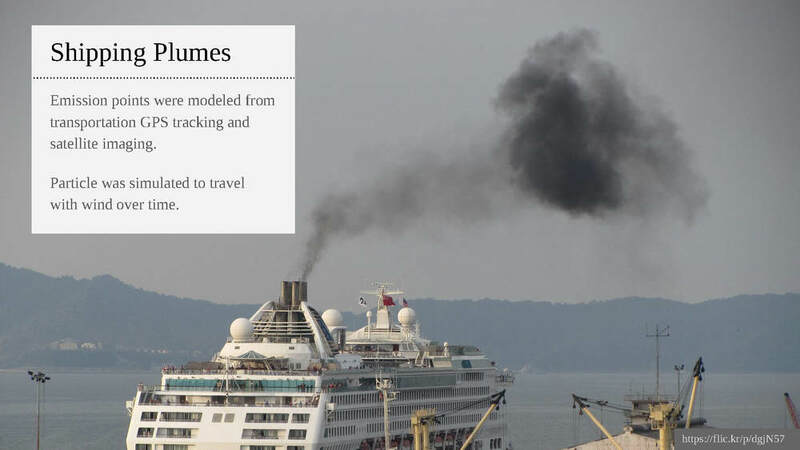 The aim was to present the data to experts as well as the general public, communicating issues around air pollution and air quality monitoring. 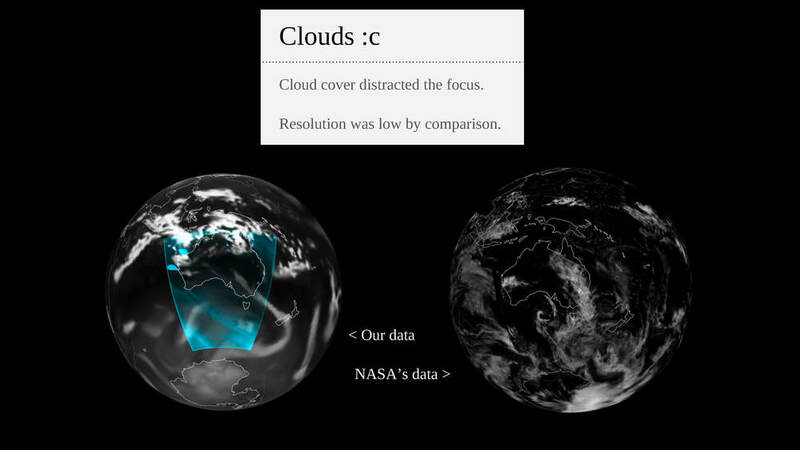 I developed WebGL-based visualisation along with a set of Python scripts to convert the pre-processed satellite data into a web-friendly format. To illustrate air pollution issues, we took a vector-based representation of the globe, overlaid with opaque colours representing different types of pollution sources. The brighter the colours are, the denser fine particles filling that region. Blue represents PM2.5 particle, or particles at 2.5 micrometers diameters. Yellow represents shipping plumes and red spots are strong emission sources where a bushfire has occurred, or a significant amount of smoke has been registered. 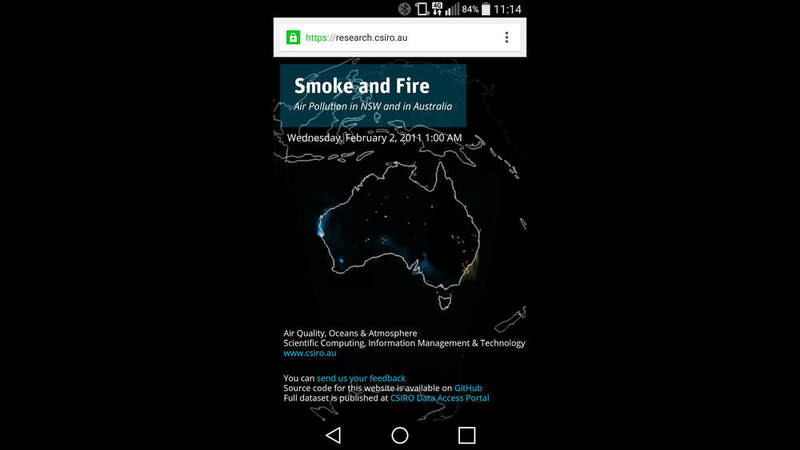 The visualisation was exhibited at the Clean Air Society of Australia and New Zealand (CASANZ) conference in September, 2015. 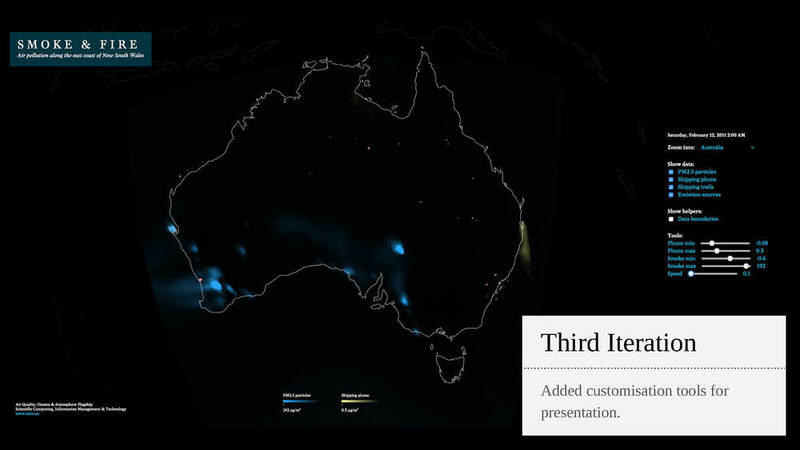 Smoke and Fire made it into Kantar Information is Beautiful Awards longlist. 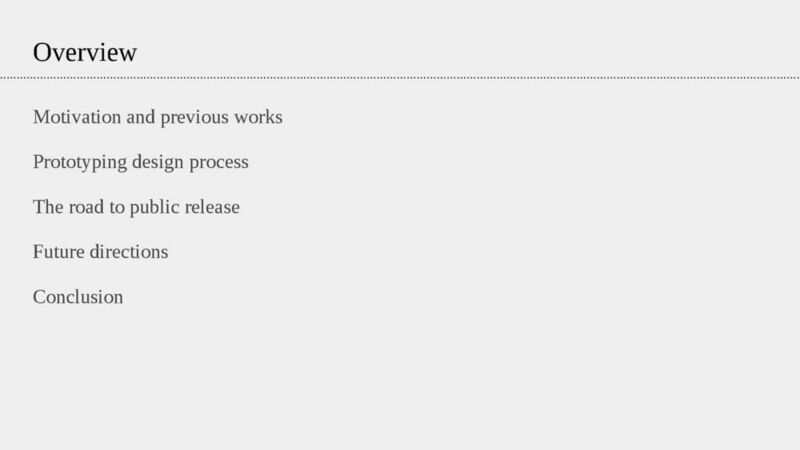 Source code is open source on Github here. 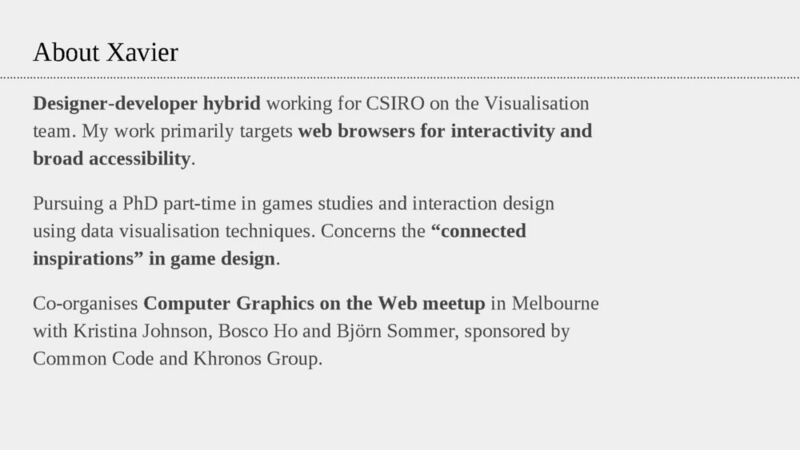 I also gave a talk on the development and design process of Smoke and Fire at OzViz 2015. You can see the entire talk with presenter notes here. In the future we hope to update it as new data become available.